His physique shows that he is an expert on building muscle mass with high definition. 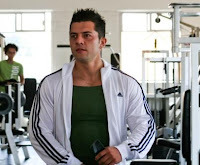 Christopher Paramo is a young competitive bodybuilder from Mexico, whose training impresses with strength, endurance, precision, and much dedication. 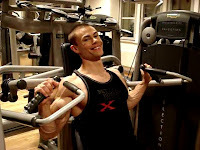 In this video Christopher works his upper body and performs his most effective exercises for biceps, triceps, chest, and shoulders. He smiles as he is pleased with his muscle gains. Fitness model Anthony G. has again worked out hard, and flaunts his ripped physique for new high quality photos and videos here on AllAmericanGuys. Building a ripped physique is only one of his many skills. Fitness model AJ is a college student nearing graduation with a bachelor's degree in business management. He's interested in working within the commercial insurance industry and also hopes to eventually write a book on business. AJ is from the the midwest and plans to stay in that part of the USA, as his family and friends are all located there. He's hoping to one day find a girl with whom he shares some interests and settle down and start a family. AJ's other interests include nutrition and supplements, movies, women and sports. His favorite sports are baseball, basketball, and football. He's particularly fond of baseball as he's played the sport all his life, including at the collegiate level. You find many high quality photos and videos of AJ here on AllAmericanGuys. As people start a cancer treatment plan it is important to be ready to face the cancer. A treatment plan goes past the treatment, whether it is chemotherapy, radiation or surgery, and taking medicine. Exercise is an excellent supplement that aids in working with the treatment. Running and riding bikes are activities many cancer patients find enjoyable. Stretching and strength training are also very useful. These exercises are extremely important because they offer weight management. There is a large amount of data which shows that being overweight is correlated to a higher cancer risk and a higher risk for reoccurrence. Being obese or overweight also decreases the chance of survival from the disease. This statistic is true for all types of cancer that have been studied, ranging from bladder cancer to mesothelioma. The idea that obesity is linked to cancer is a topic that is newly studied and the link is not clear yet but there is certainly a correlation between the two. Another benefit found from exercise is the increase in heart health. Cardio exercises expand blood vessels and increase blood flow. This helps move oxygen and blood around the body better and allows the body to work more efficiently. Having the body work at it’s full potential is important when it needs to be able to fight foreign cancer cells. Cancer treatments often cause severe exhaustion and this treatment can be almost as hard on the body as the cancer itself. While these side effects often lead to a lack of motivation it is important to see exercise as a necessary step in the right direction. The chemicals released when exercising create a positive reaction in the brain and give cancer patients more energy and motivation than they would have normally felt. It is easy to sit back and make a decision not to be active when you have such a serious disease as cancer. However, standing up to the disease and pushing against it shows the cancer that it is the patient who is in control, not the disease. Author Liz Davies is a recent college graduate and aspiring writer especially interested in health and wellness. She wants to make a difference in people’s lives because she sees how cancer has devastated so many people in this world. Liz also likes running, playing lacrosse, reading and playing with her dog, April. The Back Belief Workout is available on GregPlitt.com. The GregPlitt.com Members Section contains 159 videos, including 46 instructional workout videos, and is updated weekly, $9.95 a month for full access. He enjoys flexing and showing off his big guns. But not only his arms are huge and imposing. 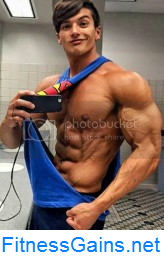 Tyler Anthony's whole physique is highly ripped. The young fitness model and former gymnast knows how to build mass and extreme definition at the same time. You find many high quality photos and videos of Tyler Anthony here on AllAmericanGuys. 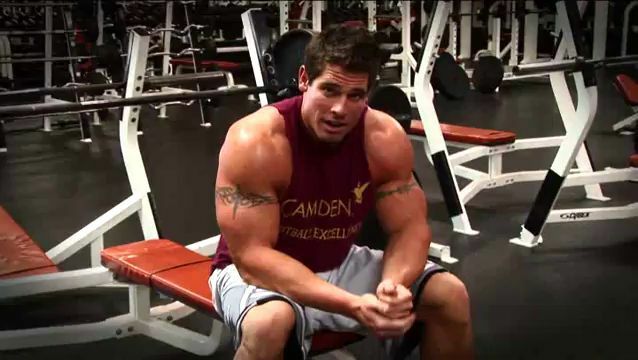 More size and definition for the "beach muscles": In three videos bodybuilder Jason Pelletier demonstrates his most effective exercises for bigger biceps, triceps, and chest. 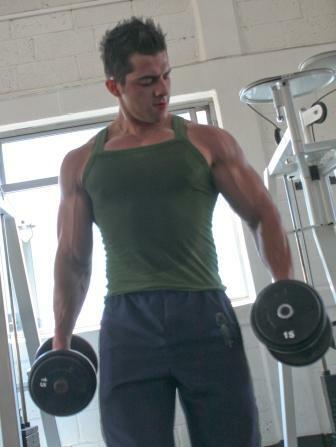 These are mass building exercises which cause the muscle to grow and bring out definition at the same time. Jason explains in detail how to perform them accurately, and gives useful advice. He has definitely the body to wear a tank top. And when Jason T. takes his shirt off, you see how much muscle the fitness model has actually built, with high definition at the same time. You find more new high quality photos and videos of Jason T. here on AllAmericanGuys. He is admired most for his exceptional biceps. When he pumps them up, they seem to burst. 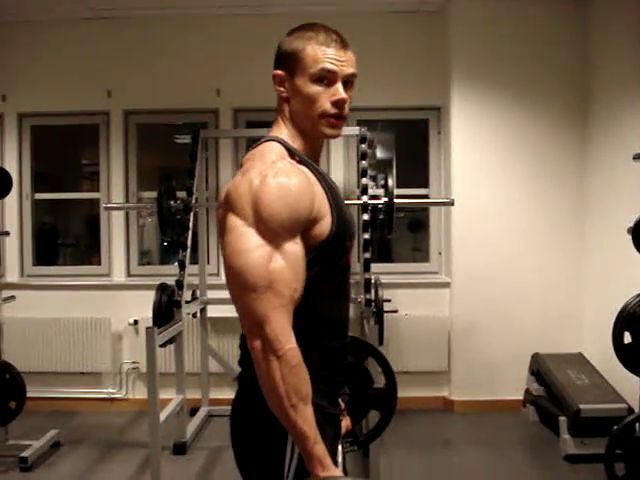 But Marcus, a Swedish bodybuilder, has not only imposing arms, his whole physique is massive and well-defined. 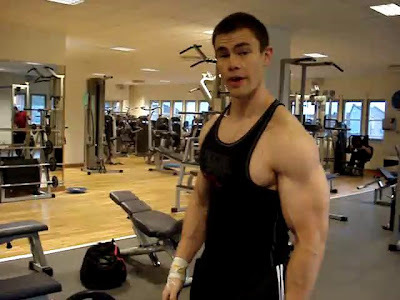 These videos show his contest preparation. 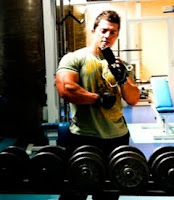 You find many more high quality photos and videos of Jiri Borkovec here on CzechYoungMuscle.